Truly out of this world, Sunday’s Riley’s Martian Mattifying Melting Water-Gel Toner is an innovative ‘essence’ targeting dehydrated, acne-prone complexions – infusing skin with moisture while alleviating stress and soothing redness to help calm and clarify. A great post-cleansing booster for oily skin, it prevents a shiny complexion and leaves your face perfectly prepped for moisturiser or foundation. For day use, it preps the skin for foundation application. It took me a long time to get used to but once I had it in my routine I was hooked. It's soothing, Cooling, pore tightening magic!!! The bottle lasts forever and I use it straight after cleansing. I then put my daily moisturiser over it before primer and foundation. My acne is bad and this is the key part of making sure my routine prevents acne. A must have for anyone suffering from acne. Its a love-hate product for me: it provides good results but the experience of using it is so off-putting and almost makes me avoid this product. You should shake it up first, it's very runny and can spray very strongly so be careful when pressing the pump. Also, the tip gets somewhat clogged and you always get a little dried lump when squirting it out. I don't recommend using a cotton pad with it, just use half a pump and press it to your face. The thing I hate about this is the smell! It smells like lemongrass at first but the second it reacts with the skin it smells straight up like dried shrimp. It's awful! If you're familiar with the La Prairie Marine Biology cream scent, this is exactly that. The scent does go away but I truly hate it. Misting the face and then rubbing the toner in help get rid of the smell. Other than that, this toner works well. It makes my skin clear, smooth, plump and helps maintain the results of a good facial. I do not recommend using it on irritated skin because it can tingle a bit. Great for sensitive skin but not mattifying. I have incredibly sensitive skin and find this toner very calming. Been using it for about 2 months, my redness is reduced and acne is improving however it isn't mattifying as such. Instead of looking greasy my skin now looks dewy which is a great improvement, but definitely not matte. Pores are also very visible. I use this with the ceramic slip cleaner and for the last few weeks have also used the sleeping night oil. I purchased this hoping to find a good toner for my combination acne prone skin that is also quite sensitive. As soon as I put it on I just wanted to wash my face straight after as if I had my face covered in molasses on a humid day. It smelled terrible, almost sickly, and left my skin feeling sticky and filmy. I really wanted to like it, but my skin just felt too gunky for me to even keep it. I am so pleased with the results of this product. I have oily skin and for years have tried so many other skin care products and found that this is the only one that works for me. Before bed, I use a dermaroller and apply this straight after and my skin is amazing. I will be buying this again. I had a new set of breakouts after taking steroids for a bad allergic reaction, and my usual set of products didn't work against the 'roid-acne. I got this toner out, and a couple of uses later, the deep nodular cystic acne came to a head and calmed down. This isn't a toner as such. I call it a light treatment lotion. Nor have I noticed any mattifying on my oily skin (steroids make your skin even oilier to an unclean degree!) but it is potent enough to counter the steroid-induced acne. This one isn't for the faint of heart. I have combination to oily skin, especially in summer, my T zone tends to be very oily in 2 hours. I use this toner day and night. I find it does mattifying, the skin and my skin feel really comfortable and lightweight feeling. Personally I really like the smell, it smells like lemon grass, very fresh. 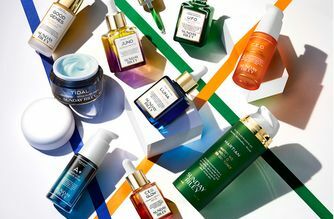 I am a big fan of Sunday Riley,I have used up the whole bottle of full size Luna oil and Good Genes serum. Now both on the second bottle, and this toner I think I will keep purchase. 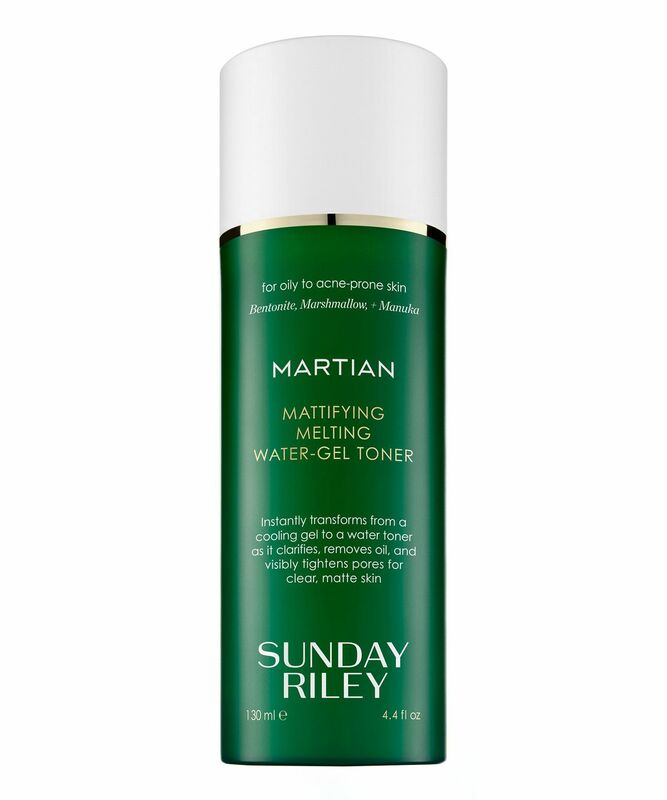 Looking forward to try more products from Sunday Riley. Love this brand. I purchased this on a whim. I had read reviews about how great it was at banishing oil and mattifying the skin - and I am totally hooked. This is undoubtedly one of those products that will remain in my kit for years to come. Please don't let the smell of the other bits from the range put you off. This has a very fresh smell, almost lemon like, which is lovely first thing the morning. The smell also doesn't linger like the oils do for anyone who is not a fan of fragrant skin care full stop. I noticed a difference in my skin immediately. I use it day and night and am on my second bottle. Is the smell off putting comparable to stagnant water? But the smell does fade and is a small price to pay for the results. I have combination skin with enlarged pores around my cheeks. My pores are visibly reduced and overall smoothness of my skin has improved. This toner is excellent. I have oily and acne-prone skin and whenever I get spots the redness of them take forever to go away. However, since using this toner, alongside UFO face oil, ceramic slip cleanser and good genes, it really calms down my skin and helps soothe my spots and takes down the redness. Whenever suffering from a bad break out I use this twice a day and it aids in the healing process. I use it before I put on my makeup and the mattifying effect of the product always makes my makeup last longer. A bottle lasts me around 5/6 months which is surprising given how much I use it. I will 100% be repurchasing! Firstly, I wanted to say I am a die-hard fan of Good Genes. I don't mind the smell one bit (quite like it), and use GG as a peel, overnight treatment, acne treatment and so on so forth. I had high hopes for Martian, but the smell was overpowering right from the first pump. However I persevered and applied the lotion on my face. I couldn't take the smell on my face though. I know I will struggle to finish using this toner. This product is amazing at instantly mattifying and makes skin overall look cleaner and smoother. However I find that with my extremely oily skin, this only lasts for a few hours. (Better than nothing, but a bit pricey for something that doesn’t last that long). Also I really do not like the smell. Me and my friends have came to the conclusion that it smells like lemongrass mixed with old socks aha, but if you have the money to spare then go for it. Recently converted to Sunday Riley to try to switch up my skincare routine, and since I've had enough money to start to invest. My skin is combination/oily and I've really been suffering from breakouts recently (particularly around my chin area) despite having a super clean diet. This toner is just amazing. You only need half a pump to cover your face and neck - it smells quite zesty and fresh, and mattifies my skin beautifully. I've noticed such a transformation re: pore size and general oiliness in only three days of use (combined with the Tidal moisturiser) - even my boyfriend noticed! Currently eyeing up UFO and Good Genes as I write this. I have combination skin (T zone), sensitive skin with psoriasis on my face. I bought this this to try hoping to control my Tzone and enlarged pores. First use, it was rather strange texture like gel form but it soon melts on the face. Do not like the smell but after it melts on face the smell does dissipate. I will live with the smell as this toner is amazing. It really is great for mattifying the skin but not drying and have noticed that my pores are not as enlarged. It calms the redness as well of my patchy flakey skin. I love this product only wished they had smaller bottle so I can take it with me when travelling.